Confessions of a 40k addict: "Has anyone got wood? I need wood!" I first played this at uni (I think 12 players was the largest game we managed) and have since picked it up along with 6 player expansion and cities and knights. Its a great game and my wife will happily join in, plus if you do get the expansions it adds variety with the option of any combination depending on your mood at the time. I hope you and the family enjoy many more games. It's been fun so far, as long as I forget the bickering that also happened ;) Still that goes with Pop & Hop too so it's not the game, it's us! Never played that game Dave but I've always found boardgames to be great fun. They have a Star Trek version too that looks a load of fun, you get to use characters from the orginal series! 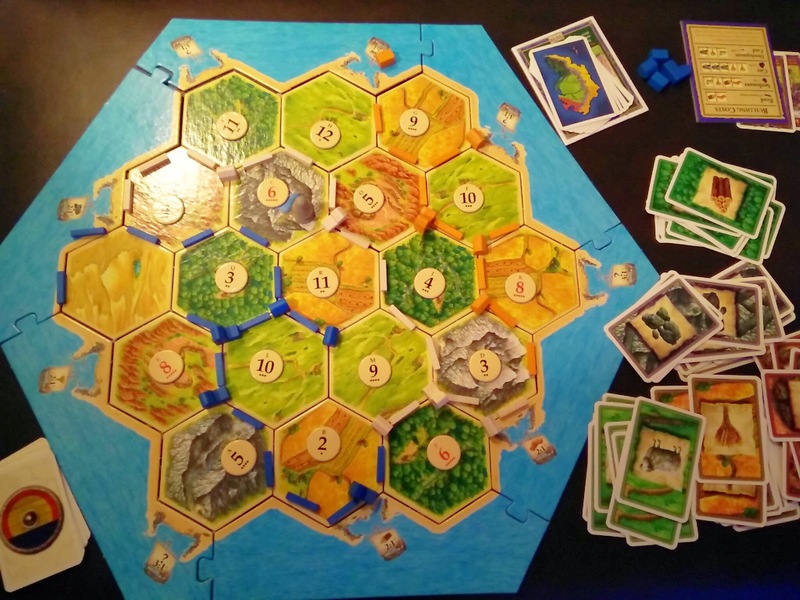 Settlers is a great game! I find that the gaming experience varies quite a bit depending on who you play with; I have played some very genteel sessions with family friends and some real back-stab-a-licious games with my close mates. If you are after positive family friendly games, I would strongly recommend Carcossonne and Ticket to Ride as well. Wathching my son illicit an apology from his mother for setting the robber on him so she could then trade with him was worth the price of the game itself! Carcassonne and Ticket to Ride do look like fun from the Tabletop videos. I was also thinking of Pandemic because it's a cooperative game and the wife is into all her extinction level diseases! 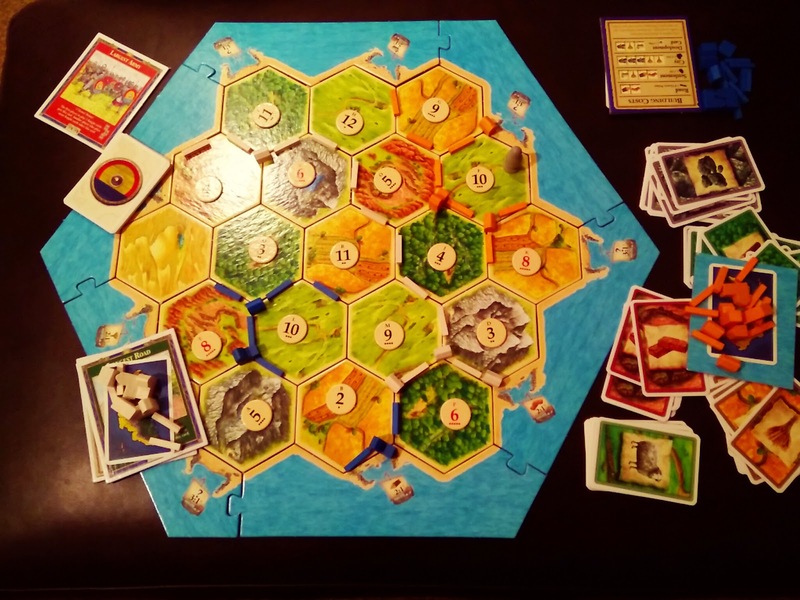 We'll see how much play Settlers gets before we invest in another game.